This is pretty awesome. Back in the early 1990s, just before the release of Pulp Fiction, BBC released a documentary focusing on up-and-coming wonder kid Quentin Tarantino. You get to see his apartment in West Hollywood, littered with VHS’s and poster of his inspirations. We learn about his work, the films he loves and what fellow filmmakers of the time thought of him. 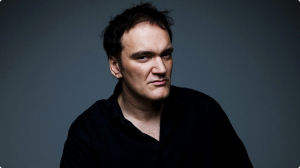 A must watch for anybody interested in what makes Tarantino tick! Django Unchained is hit DVD on April 16th.